I agree. How much do you think this costs? Good idea, Sometimes my dog behaves naughtily. And, I'm seeing it as a good idea to control him. This can't be all that comfortable for the pup, but it doesn't look too distressed so it's probably not that bad. This is an amazing idea. Good for the insane nuts of mine. OMG This is hilarious. I've written about lots of different backpacks types, from hiking to school bags, but this is a first for me! Love it. 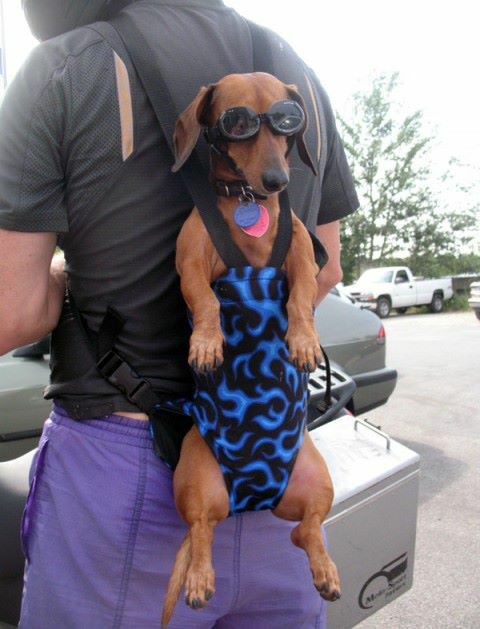 Do you think the lower straps hurt the dog, like chaffing or pressure sores?